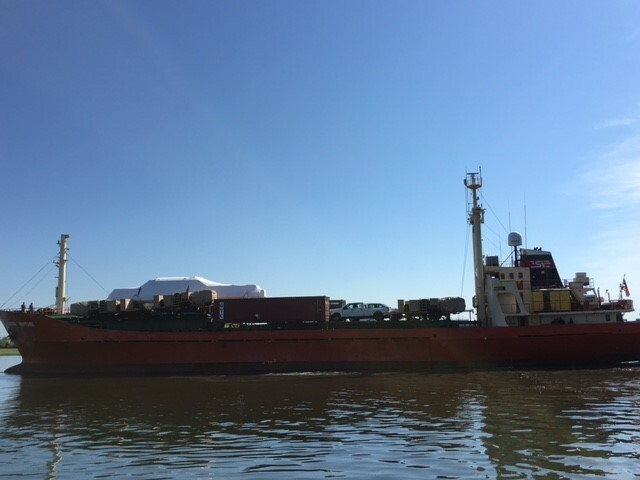 The M/V Coastal Venture recently completed the last leg of their journey delivering cargo comprised of trucks, Humvee’s, de-icer trucks, trailers, and containers to Constantza, Romania. Bizerte Naval Base, Tunisia was the first stop where the ship discharged a navy patrol vessel, containers and several new pickup trucks. For the crew, this prolonged voyage was the first time navigating the Black Sea, and they enjoyed the novelty of the region. The vessel is currently returning to the east coast and ready for our next voyage. Please give us a call anytime to expedite your shipping needs!